StakeHaul invite you to join in our joy, heartbreak, and betting for fantasy football and English Premier League futból this upcoming season. Don’t forget to place your side bets on fantasy using the StakeHaul platform. Well boys and girls, fantasy sports season is upon us. Another season full of smack talk, pulling your hair out over lineup decisions, and betting, at least in our world. We’re going to focus on fantasy football (NFL) and fantasy futból (English Premier League) for this series. Since the NFL season doesn’t start until September, and since the fantasy draft we’re involved in isn’t until end of August, we’ll focus on recapping our EPL lineups and scoring for the next couple weeks. There are over 4.5 million people signed up for fantasy futból on the official Premier League site this year alone. While it has a long way to go to catch the number of people playing fantasy football, its growth over the last few years has been staggering. When that’s coupled with the growth of American interest in overseas futból, could it challenge the NFL for fantasy dominance in the next 5-10 years? Only time will tell. 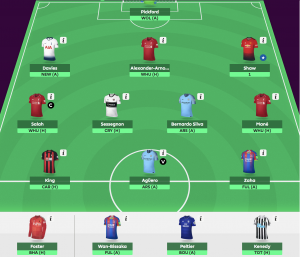 Instead of drafting a team like in fantasy football, you get 100 million pounds for your futból team budget for fifteen players, eleven of which you must start on a weekly basis. You may not have more than three players from one Premier League club on your fantasy futból team. You must select a captain and a vice-captain for your futból team each week. The captain of your team has his final weekly score multiplied by two. If your selected captain does not play, then the scoring goes based on your vice-captain. 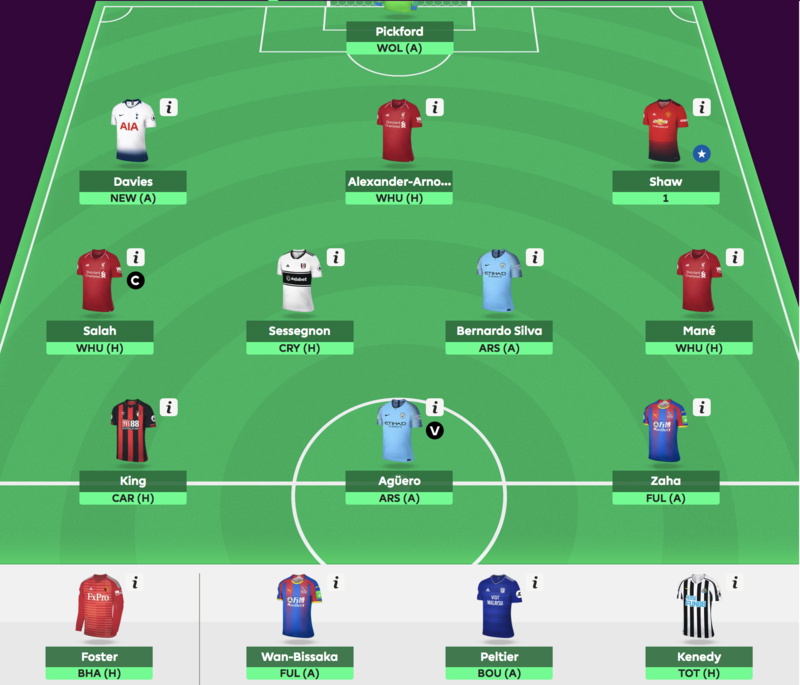 While you can set your league to be head-to-head like is standard in fantasy football, in the majority of fantasy futból leagues, your rank is based on your total score from all game weeks. You are only allowed one free transfer per week. If you make more than one transfer in a given week, you lose four points for each subsequent transfer. Got all that? Even if you’ve played fantasy futból for multiple years, there’s nothing like switching your lineup twenty times to start the year to maximize the value of your budget. Best of luck to everyone in their side bets this season! We love talking to our fans, and we’d love to hear your thoughts on the upcoming EPL season! This entry was posted in Company News, StakeHaul Challenges and tagged English Premier League, EPL, fantasy football, fantasy futból, fantasy soccer, Premier League. Bookmark the permalink. Hiya, I am really glad I have found this info. Nowadays bloggers publish only about gossips and net and this is really frustrating. A good web site with exciting content, that’s what I need. Thank you for keeping this website, I will be visiting it. Do you do newsletters? Can not find it.